Item Size Dia 36" x H 31"
Simple and functional. 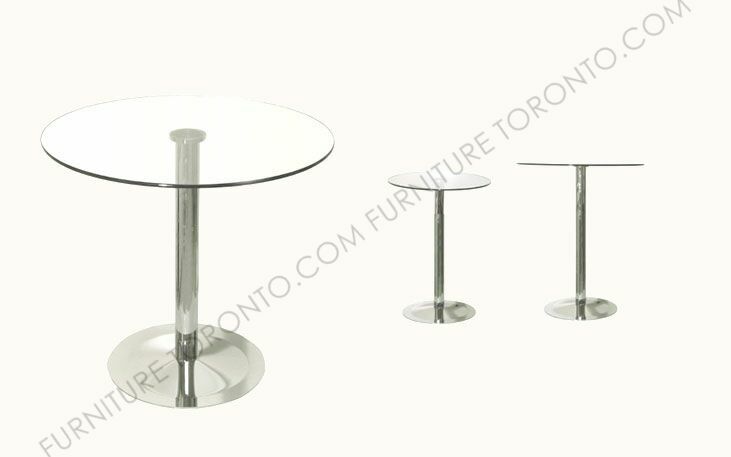 This Dining Table demonstrates refined design features with its chrome plated steel base and tubular post. It is offered in three different heights and several different glass top size options. 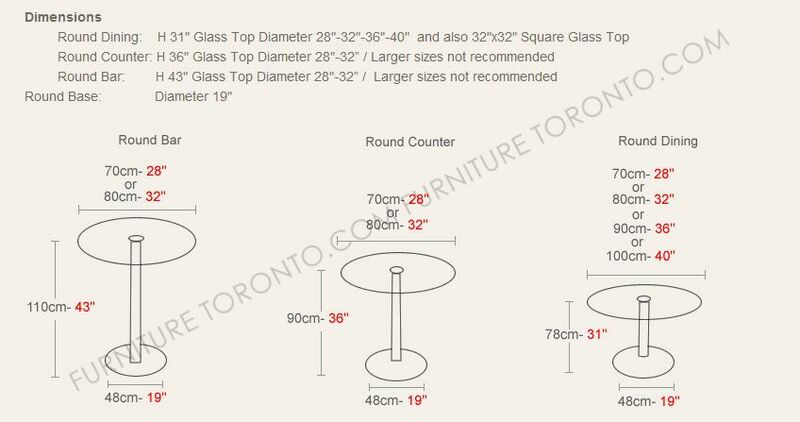 The tempered glass top is attached to the tubular post through a laser glued disk. 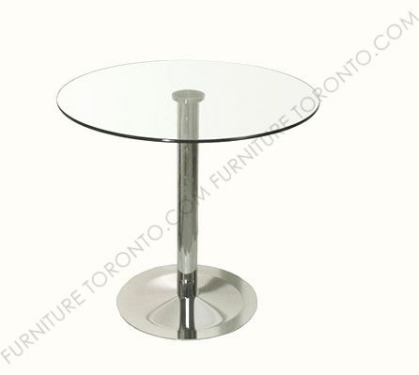 This Round Table is suitable for both residential and commercial applications.